2 Because there arose no little dissension and debate by Paul and Barnabas with them, it was decided that Paul, Barnabas, and some of the others should go up to Jerusalem to the apostles and presbyters about this question. 3 They were sent on their journey by the church, and passed through Phoenicia and Samaria telling of the conversion of the Gentiles, and brought great joy to all the brothers. 4 When they arrived in Jerusalem, they were welcomed by the church, as well as by the apostles and the presbyters, and they reported what God had done with them. 6 3 The apostles and the presbyters met together to see about this matter. 7 4 After much debate had taken place, Peter got up and said to them, “My brothers, you are well aware that from early days God made his choice among you that through my mouth the Gentiles would hear the word of the gospel and believe. 8 And God, who knows the heart, bore witness by granting them the holy Spirit just as he did us. 9 He made no distinction between us and them, for by faith he purified their hearts. 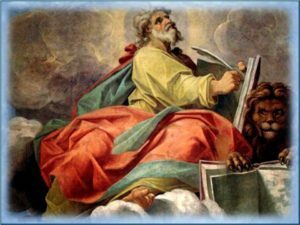 10 Why, then, are you now putting God to the test by placing on the shoulders of the disciples a yoke that neither our ancestors nor we have been able to bear? 12 The whole assembly fell silent, and they listened while Paul and Barnabas described the signs and wonders God had worked among the Gentiles through them. 13 6 After they had fallen silent, James responded, “My brothers, listen to me. 14 Symeon 7 has described how God first concerned himself with acquiring from among the Gentiles a people for his name. 20 but tell them by letter to avoid pollution from idols, unlawful marriage, the meat of strangled animals, and blood. 22 Then the apostles and presbyters, in agreement with the whole church, decided to choose representatives and to send them to Antioch with Paul and Barnabas. The ones chosen were Judas, who was called Barsabbas, and Silas, leaders among the brothers. 23 This is the letter delivered by them: “The apostles and the presbyters, your brothers, to the brothers in Antioch, Syria, and Cilicia of Gentile origin: greetings. 26 who have dedicated their lives to the name of our Lord Jesus Christ. 30 And so they were sent on their journey. Upon their arrival in Antioch they called the assembly together and delivered the letter. 32 Judas and Silas, who were themselves prophets, exhorted and strengthened the brothers with many words. 33 After they had spent some time there, they were sent off with greetings of peace from the brothers to those who had commissioned them. 38 but Paul insisted that they should not take with them someone who had deserted them at Pamphylia and who had not continued with them in their work. 39 So sharp was their disagreement that they separated. Barnabas took Mark and sailed to Cyprus. 40 But Paul chose Silas and departed after being commended by the brothers to the grace of the Lord. 41 He traveled through Syria and Cilicia bringing strength to the churches. 1 [1-35] The Jerusalem “Council” marks the official rejection of the rigid view that Gentile converts were obliged to observe the Mosaic law completely. 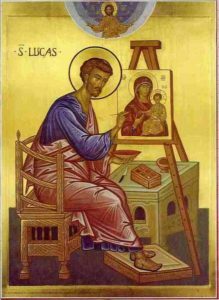 From here to the end of Acts, Paul and the Gentile mission become the focus of Luke’s writing. 4 [7-11] Paul’s refusal to impose the Mosaic law on the Gentile Christians is supported by Peter on the ground that within his own experience God bestowed the holy Spirit upon Cornelius and his household without preconditions concerning the adoption of the Mosaic law (see ⇒ Acts 10:44-47). 6 [13-35] Some scholars think that this apostolic decree suggested by James, the immediate leader of the Jerusalem community, derives from another historical occasion than the meeting in question. This seems to be the case if the meeting is the same as the one related in ⇒ Gal 2:1-10. According to that account, nothing was imposed upon Gentile Christians in respect to Mosaic law; whereas the decree instructs Gentile Christians of mixed communities to abstain from meats sacrificed to idols and from blood-meats, and to avoid marriage within forbidden degrees of consanguinity and affinity (Lev 18), all of which practices were especially abhorrent to Jews. Luke seems to have telescoped two originally independent incidents here: the first a Jerusalem “Council” that dealt with the question of circumcision, and the second a Jerusalem decree dealing mainly with Gentile observance of dietary laws (see ⇒ Acts 21:25 where Paul seems to be learning of the decree for the first time). 7  Symeon: elsewhere in Acts he is called either Peter or Simon. The presence of the name Symeon here suggests that, in the source Luke is using for this part of the Jerusalem “Council” incident, the name may have originally referred to someone other than Peter (see ⇒ Acts 13:1 where the Antiochene Symeon Niger is mentioned). As the text now stands, however, it is undoubtedly a reference to Simon Peter (⇒ Acts 15:7). 9 [⇒ 15:36-⇒ 18:22] This continuous narrative recounts Paul’s second missionary journey. On the internal evidence of the Lucan account, it lasted about three years. Paul first visited the communities he had established on his first journey (⇒ Acts 16:1-5), then pushed on into Macedonia, where he established communities at Philippi, Thessalonica, and Beroea (⇒ Acts 16:7-⇒ 17:5). To escape the hostility of the Jews of Thessalonica, he left for Greece and while resident in Athens attempted, without success, to establish an effective Christian community there. From Athens he proceeded to Corinth and, after a stay of a year and a half, returned to Antioch by way of Ephesus and Jerusalem (⇒ Acts 17:16-⇒ 18:22). Luke does not concern himself with the structure or statistics of the communities but aims to show the general progress of the gospel in the Gentile world as well as its continued failure to take root in the Jewish community.